Morell Bernabé JJ, Carrasco Sanz Á, Domínguez Aurrecoechea B, Ruiz-Canela Cáceres J. Ten years of the EAPap. Part IV. A project for the future. Rev Pediatr Aten Primaria. 2011;13:163-74. Morell Bernabé JJ. Ten years of AEPap. Part III. Vocation of training, compromise of quality. Rev Pediatr Aten Primaria. 2010;12:523-37. Morell Bernabé JJ. Ten years of AEPap. Part II. The best: its people. Rev Pediatr Aten Primaria. 2010;12:333-47. Morell Bernabé JJ. Ten years of AEPap. Rev Pediatr Aten Primaria. 2010;12:157-64. Rodríguez-Moldes Vázquez B, Álvarez Gómez J, Morell Bernabé JJ. Paediatric care in the rural area: problems and alternatives. Rev Pediatr Aten Primaria. 2008;10 Supl 2:S95-109. Gusi Fuertes N, Prieto Prieto J, Morell Bernabé JJ, García Martín Y. Extremadura’s girl adolescents of rural areas show a lower level of health related to quality of life and physical activity level. Rev Pediatr Aten Primaria. 2008;10 Supl 2:e83-4. 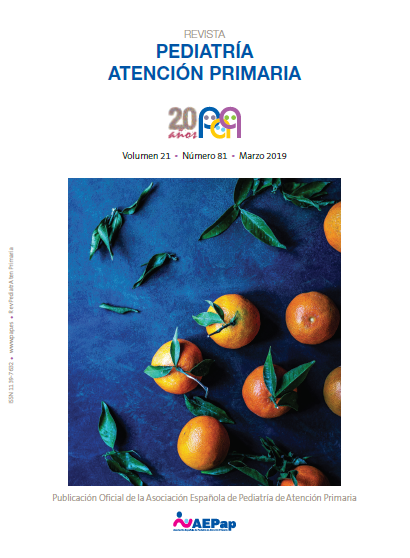 Morell Bernabé JJ, Álvarez Gómez J, Mola Caballero de Rodas P. Current situation of Primary Care Pediatricians in Extremadura and Asturias: Outcomes and conclusions of a survey. Rev Pediatr Aten Primaria. 2000;2:543-552. Morell Bernabé JJ. About vaccination with conjugated vaccine against meningococcus C in children older than 6-7 years. Rev Pediatr Aten Primaria. 2000;2:631-633.